Samantha had a good time in Shanghai with her husband and child. They flew here from Boston last month and saw the sights and enjoyed the attractions of Shanghai. They saw the city highlights, then traveled to Beijing, Sanya, and visited some cities around Shanghai before returning to the city and flying home after three great weeks in China. Samantha is one of Shanghai's medical tourists. While here she underwent surgery to remove eye bags and liposuction. She is one of many Westerners who come here specifically for medical procedures. Dr Song Jianxing, a cosmetic surgeon and the director of the Shanghai East Plastic and Cosmetic Surgery Clinic, said Shanghai is seeing more foreigners coming for cosmetic surgery. As well as cosmetic surgery, Shanghai is also becoming a prime destination for people seeking medical treatments which are either unique to China or have not yet been approved in Western countries. Medical tourism is relatively new in China and Shanghai is working to become a major player in this industry, as part of the city's overall plan for economic development. Large amounts of money have been invested in projects and new hospitals targeting overseas patients are being built in Pudong New Area and Minhang district. 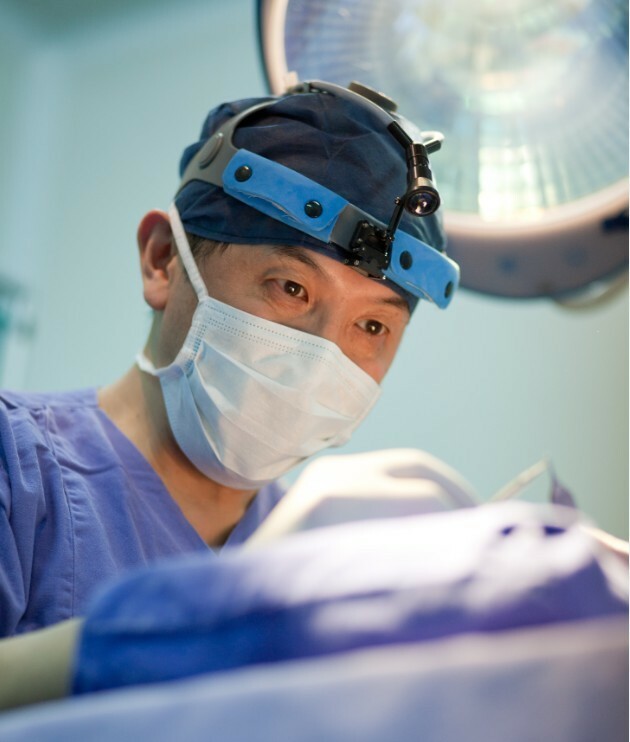 When Dr Song Jianxing returned to China from France in 1994, cosmetic surgery was a new concept for many Chinese. Today China is the world's second largest provider of cosmetic surgery (the largest is the US). Annually China performs nearly 3.4 million procedures and not all of these are for Chinese, according to statistics from the International Society of Aesthetic Plastic Surgery. "China's expanding cosmetic surgery market is not only fueled by internal pressures, but we are also seeing more overseas clients in recent years," Song told the Global Times. There were few overseas patients in Song's clinic, which is based in a State-run hospital, before 2007. "Less than 10 percent were expats or foreigners," Song said. The turning point was the Beijing 2008 Olympic Games which attracted a slew of foreign visitors. "The Beijing Olympics and World Expo 2010 in Shanghai brought in a lot of tourists and some of them sought medical services in China," he said. The clinic's business peaked during the two events. Now up to 70 percent of the clients in Song's clinic are foreigners. "Most of our clients come from America, France, and the Gulf Arab states," Song said. The price is the big attraction. "The prices of cosmetic surgery in Shanghai are among the lowest of medical tourism countries in the world. Some procedures will cost visitors half or even less than a third of the prices in Western countries," Song said. But Shanghai is gradually losing its price advantage. "Because of the strong yuan, the prices of cosmetic procedures here are not as attractive now. The cost of plastic surgery in Shanghai now is a little cheaper than in Japan, but there is almost no advantage compared to South Korea, and it is a little more expensive than Thailand," Song said. Song believes that price should not always be the key factor to attract medical travelers who also seek high-quality service and advanced technology. Song said medical institutions should be attracting foreign visitors by lifting the quality of the service they offer and trying to make patients feel they are receiving the same sort of treatment they would enjoy in their own countries where there would be no problems with communication. Most medical tourists arrive with a 30-day visa. While Song's clinic offers free corrective surgery over six months if a patient is not satisfied with the initial result, China lacks an authority to oversee the tourist cosmetic surgery business and stand up for the rights of the patients. "South Korea is aware of this. Its tourism department has pledged to protect tourists' rights if there is a dispute with a clinic," Song said. Though Shanghai is a fast growing destination for foreigners seeking cosmetic procedures, the city is trying to catch up with neighboring countries like South Korea, Singapore and India. "Shanghai may not have specific advantages to compete with these neighboring countries which developed cosmetic surgery tourism earlier, but China has vast tourism resources which can help attract visitors. But Shanghai lacks a body that can help combine tourism and medical services and there is not enough promotional work for China's medical tourism industry," Song said. Medical tourists seeking cosmetic surgery in Shanghai have different requests to Chinese clients. Dr Song Jianxing said while local people usually wanted augmentation procedures, Westerners preferred size reduction. While Chinese clients sought nose augmentation, Westerners wanted to shrink their noses. The Chinese who wanted cosmetic surgery were usually young, some just graduated and wanting to improve their looks so that they had an advantage when they applied for jobs. Westerners seeking cosmetic surgery came in all ages. Although Chinese men were reluctant to have cosmetic procedures, about 40 percent of the Westerners he treated were men. The usual procedures sought by foreigners are face-lift/neck lift procedures, liposuction and abdominoplasty (tummy tuck) procedures, according to Dr Sheena Burnell, an experienced Australian doctor who has worked at clinics and hospitals in China. According to Yang Jian, the chief executive officer of the Shanghai Medical Tourism Products and Promotion Platform, an organization launched two years ago to promote medical tourism in Shanghai, 60 percent of the patients who contacted the organization had cancer. Most medical tourists to Shanghai are asking about gamma knife therapy radiation, stem cell therapy, traditional Chinese medicine and heart bypasses. Many foreigners come to China for stem cell therapy because the controversial therapy has not been approved in many Western countries. An industry report suggests that about 10,000 foreigners come to China for this every year. Though the Ministry of Health has ordered that stem cell therapy treatments must be approved by the State Food and Drug Administration, many medical institutions are still offering the therapy, Yang said. 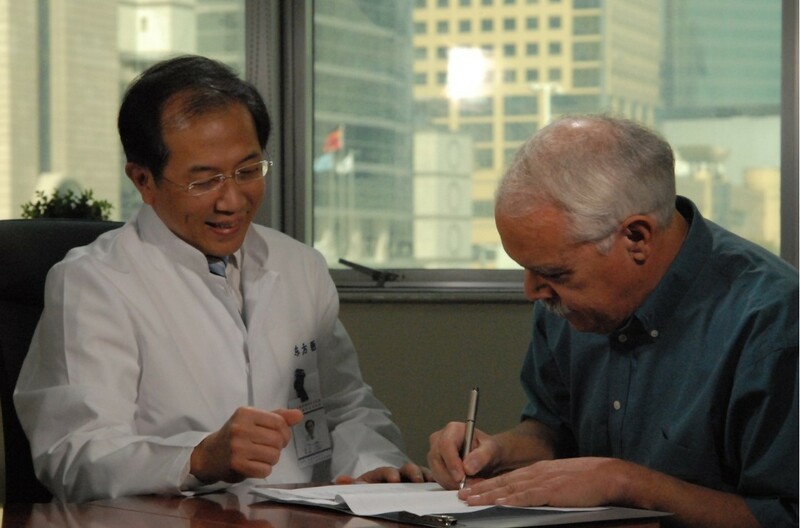 Yang's organization was formed with support from the city government to help with medical arrangements between patients and leading hospitals in Shanghai. He said the organization had not been involved in many consultations with overseas visitors yet. "The marketing and promotion of Chinese medical tourism overseas is insufficient. Few potential medical tourists know about Chinese hospitals and the industry here," he said. The organization receives an average 30 inquiries a month and last year helped about 10 percent of the people who made inquiries travel here. "Because many hospitals conduct their own consultations and treatments for overseas visitors and because there is no government body supervising medical tourism in Shanghai, no one can say exactly how many medical tourists come here," Yang said. People from developed countries or areas are usually concerned about the level of service they will encounter with doctors in developing countries. "Many foreigners, even some Chinese, have a misunderstanding of Chinese doctors' expertise. In reality Chinese doctors are very competitive professionally," Song said. "Chinese surgeons have a lot more practical experience than doctors in Western countries because of the huge patient base in China. A surgeon in China might have performed 10, 000 liposuction procedures while a surgeon in a foreign country may only have had the chance to perform 100. Experience is of vital importance in assessing for a doctor's expertise," he explained. He quoted the example of a young woman from France who sought breast enlargement surgery in Shanghai but whose mother was vehemently opposed. "The mother was very concerned about the level of skill of the surgeons in Shanghai. The daughter decided to come to Shanghai anyway because a friend had had a successful breast enlargement here. In the end the mother was very surprised and pleased at how good the Chinese surgeons were," Song said. Apart from people seeking treatments that are only available in China, the relatively low prices for treatments and the efficiency of the medical staff are the big attractions for foreigners. "The price for a heart bypass in the US is about $149,000. A patient who is covered by medical insurance still needs to pay about $67,000 to cover the operation. The same procedure in China costs about $22,000. Patients find the cost of being treated in China including their air tickets, accommodation, and perhaps some sightseeing is much lower than the cost of the operation in the US," noted Si Wanliang, one of the staff with the medical tourism organization. "In free healthcare system countries like Britain and Canada, patients may have to wait for two months to see a specialist if they are not an emergency case or in a serious condition. Some patients who can't wait for procedures in public hospitals or can't afford private treatment travel to other countries for help," Yang Jian said. Yang said the medical tourism industry around the globe is set to become a $100 billion sector this year. Thailand, India, Brazil, Singapore and Malaysia are among the most developed medical tourism destinations. "America is the biggest source of medical tourists. About 50 million people in the US are not covered by medical insurance. Many countries are targeting Americans seeking medical treatments abroad," Yang told the Global Times. Yang is confident that Shanghai will be a competitive player in the rapidly growing market. "Though Shanghai is a little late in developing medical tourism, it will not be difficult to catch up. There is nothing China cannot manage if we get serious," Yang boasted. The construction of the Shanghai New Hongqiao International Medical Center began last month. The medical center will offer high-end medical services, with medical tourists being the major target. With support from the Ministry of Health, the center will admit patients in 2015. Though disputes between doctors and patients frequently hit the headlines and Shanghai's hospitals are usually crowded with patients seeking treatment, authorities claim the development of medical tourism will not affect medical resources for local people. Xu Su, the director of the Minhang District Health Bureau which supervises the Shanghai New Hongqiao International Medical Center, told the Global Times that the center would not only support the development of medical tourism, but would help alleviate the pressure in public hospitals. "Currently people who require high-end medical services including medical tourists, expats and well-off local people go to public hospitals which are overcrowded. By offering different medical institutions, the situation in public hospitals will improve," Xu said. "It is like offering commuters the options of buses, trains, bullet trains and planes. Clients will choose the service that suits them. The number of patients at public hospitals will be reduced, which will not only benefit the general public, but improve the experience of those seeking medical tourism services," Xu said. The doctors at the center will be recruited from pubic hospitals, and will work both at the center and their own hospitals. But at least one patient surnamed Zhang waiting to see her doctor in Huashan Hospital is concerned. "The best doctors will spend more time in the center, so there will be less chance of ordinary patients seeing good doctors," she said. But becoming a medical tourist hot spot will not be easy. Dr Sheena Burnell feels Shanghai is some way behind other top medical tourism destinations. "Even high-end foreign clinics often don't provide adequate English-speaking staff and international-level nursing care. In my experience the single biggest complaint foreign clients have about having procedures done in China is the problem of lack of adequate English-speaking staff, especially on the medical and nursing teams." She said low prices were important but the average medical consumer was also concerned about issues like the technical ability of the surgeon, hygiene standards, safety (especially of anaesthesia), the standard of post-surgical care, language/communication issues, and follow-up especially in the event of any complications after the surgery.